From the outsider’s perspective, those who are not Dominican or Dominican diasporans, this news may look as a scandal, a circus show of high-profile figures throwing rotten tomatoes at each other. But from the intellectually curious’ view, the one familiar with the history of nations and imperialism, this news is much more than what it looks to either the insider or the outsider. Indeed, this news is worth noting beyond the obvious issue of the Dominican judicial racist ruling because it shows us a significant trend in world identities. Beneath the journalist view, this news is a furious clash between the diaspora (Dominicans actually living outside of the DR) and national locals (Dominicans living on the east side of the island and with deep roots in Dominican soil). Those interested in studying current nationalisms, particularly the expressions of patriotism emanating from small and poorer countries struggling to maintain dignity and sovereignty, may want to pay attention to how national locals (Dominicans in the DR) are now perceiving their own diasporas: they are half-breeds, tools of foreign intervention and imperialism. In this case, viewed from the local nationals’ perspective with a long history of struggle against US imperialism, the US does not have to intervene directly on Dominican politics anymore (the Marines can stay calmly home in their military bases, and the likes of cultural diplomats like Sumner Welles can stay in their DC offices observing the drama developed, but from the outside). 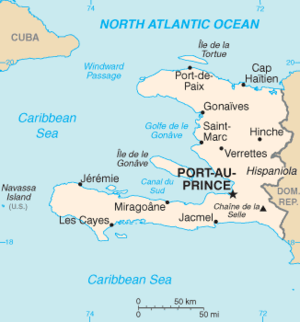 The Dominican diaspora in the US, already assimilated into (even when partially) modern paradigms of liberalism, can do the work of chastising the recalcitrant and outdated Dominican national visions of race and retrograding nationalisms that keep both nation-states on Hispaniola (Haiti and the DR) in constant disharmony and international source of shame. The Diaspora, then, people like Junot, is not always welcome back home, neither it belongs legitimately at the center of the empire (look here for an example, to what happened recently to Marc Anthony when he tried asserting his US credentials by signing a historically US song publicly and was then openly treated as a foreign “Mexican” and not as a legitimate US citizen, nor even a Puertorrican. This is also similar (look here) to what Joe Feliciano went through in the fateful year of 1968). The diasporan can’t speak English, the imperial language, well enough to be seen a bona fide US individual (she/he does not have the looks anyways), nor can she/he articulate thoughts well in Spanish to be embraced by Dominican locals as a genuine Dominican. Without a legitimate home, the Diaspora floats around as if hanging over in space without a hard surface to land on or call home (Diasporans are the anti-nationals). The airports are its bungalows, the airlines its agents and the impersonal internet its only real network. 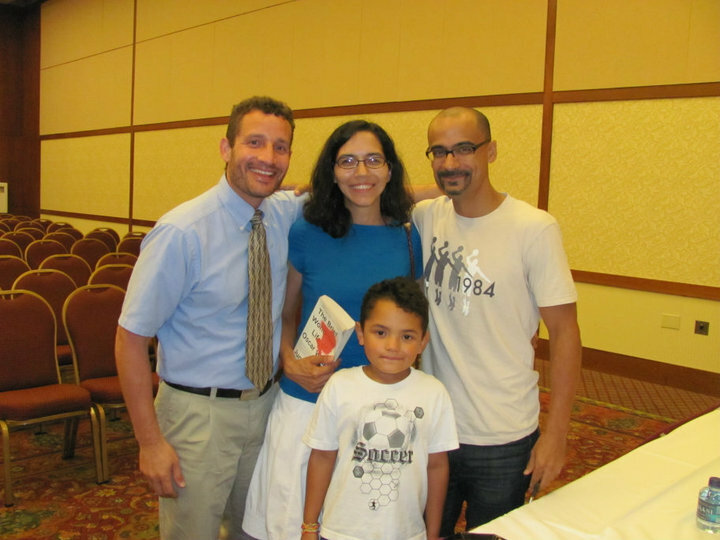 A pic with Junot Díaz after a reading in 2010. From the outsider’s perspective, those who are not Dominican or Dominican diasporans, this news may look as a scandal, a circus show of high-profile figures throwing sticky balls of mud to each other. But from the intellectually curious’ view, the one familiar with the history of nations and imperialism, this news is much more than what it looks to either the insider or the outsider alike. Indeed, this news is worth noting even beyond the obvious issue of the Dominican judicial racist ruling. Beneath the journalist view, this is a furious clash between the diaspora (Dominicans actually living outside of the DR) and national locals (Dominicans living on the east side of the island and with deep roots in Dominican soil). Those interested in studying current nationalisms, particularly expressions of patriotism emanating from small and poorer countries struggling to maintain dignity and sovereignty, may want to pay attention to how national locals (Dominicans in the DR) are now perceiving their own diasporas: they are half-breeds, tools of foreign intervention and imperialism. In this case, viewed from the local nationals’ perspective with a long history of struggle against US imperialism, the US does not have to intervene directly on Dominican politics anymore (the Marines can stay calmly home in their military bases, and the likes of cultural diplomats like Sumner Welles can stay in their DC offices observing the drama developed, but from the outside). The Dominican diaspora in the US, already assimilated into (even when partially) modern paradigms of liberalism, can do the work of chastising the recalcitrant and outdated Dominican national visions of race and retrograding nationalisms that keep both nation-states on Hispaniola (Haiti and the DR) in constant disharmony and international source of shame. What does it say when the young and rebellious who are on the trenches resisting racial and economic oppression, and are too smart to believe the establishment’s eulogies, continue thinking and reinterpreting the inspirational life of Mandela? There may be reasons to hope in the future. The Daily News posted that James Baker has tried to clean Reagan from his defense of the South African Apartheid. When even the most reactionary leaders, who once feared and disapproved of Mandela, are chanting his praises, we need critical thinkers in the front lines ready to speak truth to power. Though unknown to many, grassroots music and other forms of artistic performances were at the vanguard of the fight against the Apartheid. Drums, in particular, were symbols of resistance since the start of slavery in the Americas. Jasiri X’s metaphor on drums, then, runs deeper than what it looks on the surface. Every now and then, thinkers and activists (of a certain kind) manage to convince producers to sponsor a film or TV show about the history of slavery that shocks the establishment. It does, not because the production is necessarily superior (it often is), but because it succeeds in inciting reflection of the intensity and current implications of slavery’s past. For many, the standard has long been Alex Haley’s novel and its inspired TV series, Roots, which transformed much of the intellectual and emotional landscape, not only in the U.S., but in Latin America and even Europe (even despite its controversies). If college tests’ results, and media’s ignorance are any indication, I would say we need more of this and more often. Fortunately, this year we are witnessed to one of these films. I have not watched the film yet (I live far from any screening or showing), but by reading the criticism, summaries and being familiar with the primary source (autobiography) in which is based, it seems safe to think this film will add to the resources educators can use to bring life to the classroom and will stimulate much-needed intellectual discussion among lay people about a topic often cover by myth, fear and secrecy. “12 Years” seems to markedly contrast with sweeter films like “Amazing Grace” (2006) in portraying the realities of racial oppression in more stark terms, to the point that Morgan Freeman, an actor in similar films (i.e., Glory 1989′ Invictus 2009) have publicly said he prefers not to watch it. He admitted that this type of film hits the amygdalae hard and there are limits in what a person like him can take of these hits. The crudeness of reality in this film apparently challenges our common practice of escapism in movie-watching.. It also forces watchers to make space for more anger and repulsiveness in their lives. Time will tell the impact this film will have in the consciousness of people, in and outside of the U.S. As for me, I am eager to watch it, but should recommend reading the original source first, reviews and blogs like that of my colleague Ana Araujo. The theme of modernity, be it in Mexico, Cuba, or the United States, ties Fox and Thomas’ reviews together. Though one more than the other, both allude to the need of revising our interpretations of European modernity and to value those opposing it. The power of the supposedly un-modern to frustrate aggressive Bourbon reforms may reveal more than just an incompetent colonial bureaucracy. Similarly, the intricate visions of de-nationalized, but racialized wandering dissident authors may help us appreciate a universal thirst for justice, betterment and order, a prerogative (seemingly) previously claimed by modernity. and perhaps by surviving a few close encounters with the inquisition. are you? And why should historians write about you? Romantic view of the exotic). particularly strong trait of euro-modernity. little room for love (bummer). have asked would have been, how and why? modernity) all around and throughout the historical record. Historiographical Concept,” _The American Historical Review_ 116, no. Legacy in the French Enlightenment_, (Routledge, 2012). no. 3. (Duke University Press Books, 2001). Black History: is this Raul Julia? You may be surprised– This was Henry Jay Lewis a U.S. Black musician and conductor. A talented musician, Henry was the first Black to serve as a conductor and musical director of a major American orchestra (the New Jersey Symphony) in 1968, and the first Black to conduct the Metropolitan Opera, in 1972. 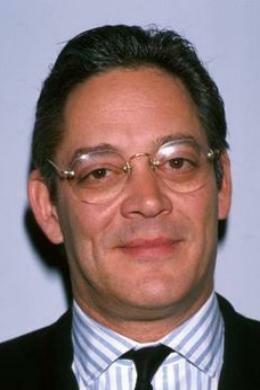 This is the real Raul Julia. Raul Julia was a powerful actor known well for his acting in The Addams Family and Kiss of the Spider Woman among many. At the end of his life he became increasingly radicalized, more visible in his participation on the films The Burning Season and Romero, and on the PBS documentary Americas. They both rose to prominence from humble origins, died two years apart, and left an admirable legacy. “Migrant Jesus,” from Lemos “Latino Gothic” works. What a surprising reception to Nelly‘s question! It is not simply the rapid-firing of messages which tells when a topic has touched a nerve, but the depth of its engaging posts which sets the thread apart. The sharing of articles, written by participants, and of new research (Gary) makes this forum a necessary contribution to the study of Latin American History, and as this discussion has shown, of Latin@ Studies. And it is to this last point that I want to draw your attention to. 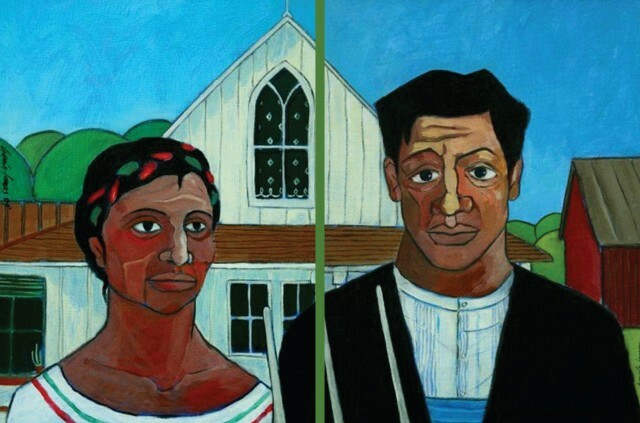 Though Latino America, as the place of origin, is important to identify the roots of the Latino/a community in the U.S., what makes the Latino (Latin@) experience unique is its diasporic nature. An engineering Professor recruited directly from [Latin America] is not necessarily a Latino Professor. These professors would often have difficulties in relating to the struggles of Latino students coming directly from U.S. High Schools. Their loyalties and identities would often linked them to their countries of origin rather than to the Latin@ more amorphous and (perhaps) transnational sense of community. This (Latino) community would be more comfortable with accepting and even speaking Spanglish, with moving across various cultures and subcultures, and more familiar with “mixed” marriages of, [say] Peruvians and Mexicans, and with “Latino” kids that have never visited Latino America, and yet, [who] do not fit the “American”/”Gringo” mold (a light color would facilitate assimilation, though). The “Latino,” thus, is not a “Latino American.” She is certainly more American than the [typical] U.S. American. But it is the fact that this community is a diaspora, a people without a tangible country, but with a dispersed identity, that makes its [efforts in] naming crucial. It is politically fraught, as Roger briefly mentioned, but it is also inevitable. We can call it an exercise in absurdity all we want, but people on the ground, the activists, the “undocumented,” the religious leader, the community counselor, the teacher, and most importantly, the young members of the second and third generations, would find this the struggle of their lives. So, this is not a mere discussion in semantics, but one that strike at the heart of past and current histories.